Champion Australian sire Fastnet Rock claimed a slice of the attention on Europe’s biggest race day at Longchamp in Paris when he was represented by his 36th Group One winner. The Coolmore Stud shuttler sired his eighth G1 winner in Europe when his daughter One Master won the G1 Prix De La Foret, one of six G1 races on the Prix de l’Arc de Triomphe program. The William Haggas-trained 4YO mare One Master (Fastnet Rock x Enticing by Pivotal) flew to the line to win the seven furlong sprint for her fourth win in eight starts. 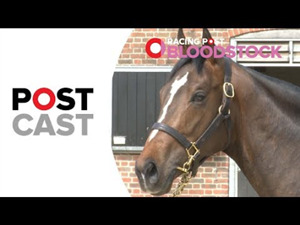 One Master, one of 140 stakes winners by Fastnet Rock, is a homebred for her owners Lael Stable and provided William Haggas with a very satisfying result due to his connections with the family. “I’m thrilled for the owners as they have been with me for over 20 years and send me everything they breed,” Haggas said. One Master is out of the Pivotal mare Enticing, a daughter of the G2 and G3 winner Superstar Leo (College Chapel) who was purchased by Maureen Haggas for just 3400gns at Tattersalls in 1999 and was also G1 placed in the Phoenix Stakes. Enticing was dual G3 winner and is a half-sister to Starship (Galileo), the dam of Fastnet Rock’s G1 Racing Post Trophy winner Rivet who was also trained by Haggas. 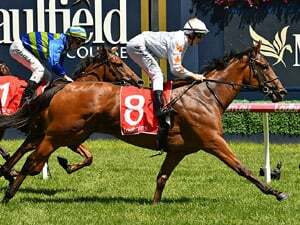 The family features the G1 2000 Guineas-winning sire Footstepsinthesand, Irish 2000 Guineas-winning sire Power and December Draw, the Medecis import who won the G1 Turnbull Stakes at Flemington. Fastnet Rock has 10 lots catalogued at Book 1 of this week’s Tattersalls October Yearling Sale in Newmarket. •	The obvious star of the show at Longchamp was champion mare Enable after the daughter of Nathaniel claimed her second successive win in the Qatar Prix de l’Arc de Triomphe, becoming the only British-trained dual winner of Europe’s greatest race. Trained by John Gosden and ridden by Frankie Dettori, Enable held off the late charge by her year younger rival Sea Of Class, a filly by Sea The Stars trained by William Haggas, to give UK stables the Arc quinella. Cloth Of Stars, also by Sea The Stars and trained by Andre Fabre, was the first French finisher in third place. Owned by Khalid Abdullah and bred by his Juddmonte Farms, Enable has won nine of her 10 starts more than 2.8 million euros. She is Prince Khalid’s sixth Arc winner with the owner’s racing manager Teddy Grimthorpe keen to pay tribute to Enable. “There couldn’t be a greater honour for a breeding operation than winning the Arc again with a homebred filly who is exceptional. “Prince Khalid is now tied with Marcel Boussac who also won six Arcs. “The beauty of her is that she loves her racing and loves winning. Now we have some decisions to make as to her next race and next year. Interestingly Enable’s stakes winning dam Concentric (Sadler’s Wells) produced a colt foal by Sea The Stars this year. She also has a yearling filly by Frankel and a 2YO full sister to Enable named Entitle who has raced once. Enable’s older half-brother Contribution (Champs Elysees) was also a stakes performer. PRIX DE L’OPERA: Wild Illusion (3YO filly Dubawi x Rumh by Monsun) – Charlie Appleby-trained Godolphin owned and bred second foal out of the Listed winner Rumh and a half sister to the Listed winner Really Special (Shamardal) and G3 placed Ceratonia (Oasis Dream). Her second dam is the G3 winner Royal Dubai (Dashing Blade) from Reem Dubai (Nashwan), dam of the G1 winner Royal Highness (Monsun). Rumh’s yearling and foal colts are also by Dubawi. PRIX DE L’ABBAYE: Mabs Cross (4YO mare Dutch Art x Miss Meggy by Pivotal) – Mabs Cross joins Slade Power and Garswood as the third G1 winner by Dutch Art. Since 1979 some 36 of the 40 runnings of France’s premier five furlong sprint have gone to visitors including 30 from the UK with this mare from the Michael Dodds stable joining the list when she made amends for her narrow loss in the G1 Nunthorpe Stakes at York at her previous start. Costing just £3,000 at the Doncaster November Yearlings Sale, she joined One Master as the second G1 winner on the Arc program out of a Pivotal mare. Her dam is the Listed winner Miss Meggy, also the producer of the G3 winner Charlie Em (Kheleyf). Miss Meggsy has a yearling colt by Iffraaj and a filly foal by Oasis Dream. PRIX MARCEL BOUSSAC: Lily’s Candle (2YO Filly Style Vendome x Golden Lily by Dolphin Street) – The first G1 winner for the Anabaa stallion Style Vendome, was first purchased by Bertrand Bourez for €15,000 at the Arqana October Yearling Sale. She gave her new owner of less than 24 hours Martin Scvhwartz an instant and valuable dividend after he paid €390,000 for the filly the night before at Arqana’s Arc Sale. 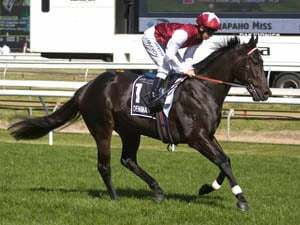 She is the first black type winner for her dam Golden Lily, a winning half-sister to three-time stakes winner Lilydale (American Post), herself the dam of Japanese dual G3 winner Lys Gracieux (Heart’s Cry). Trained by Fabrice Vermeulen, she has now won three of her five career starts. Lily’s Candle is the only stakes winner by Style Vendome, who stood at Haras de Bouquetot in 2018. PRIX JEAN-LUC LARGARDERE: Royal Marine (2YO Colt Raven’s Pass x Inner Secret by Singspiel) – Raven Pass, a son of Elusive Quality, gets his first G1 winner and 28th stakes winner. Raven’s Pass stood at Kildangan Stud in Ireland in 2018. Royal Marine gave Godolphin a second homebred triumph on the big day. 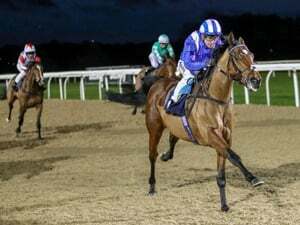 He is trained by Saeed bin Suroor and is now the winner of two of his three starts. He is a half-brother to the Group performers Crystal River (Dubawi) and Secret Ambition (Exceed And Excel). His dam Inner Secret is a half-sister to G1 winners Librettist (Danzig) and Dubai Destination (Kingmambo). The third dam Mysteries (Seattle Slew) is the dam of G1 champion and sire Agnes World (Danzig).